Previously, I’ve written about passive index investing thought TD e-Series, Tangerine Investment Funds, and Robo Advisors. Today I look at passive investing with ETFs, and specifically, ETFs recommended as part of the Canadian Couch Potato index investment strategy. Using this strategy can help you invest across global markets, paying little in investment fees and provide steady growth for your money over the long term. Exchange Traded Funds (ETFs) are indexes of stocks or bonds that usually have a very low management fees. They are similar to index funds like TD e-Series funds or Tangerine Investment Funds, as all of them track an index or multiple indexes of a certain commodity or security. But while index funds are often available through banks, ETFs have a cheaper management fee, and are available through investment brokerages like Questrade. As you can see, a portfolio like this follows a very similar formula as the TD e-Series and Tangerine Investment Fund portfolio strategies, investing in a Canadian bonds index, Canadian stocks index, US stocks index and International stocks index (US and International combined here into an All Country index fund). The BMO Aggregate Bond Index ETF (symbol: ZAG) is designed to replicate the FTSE Canada UniverseXM Bond Index™, and provides the portfolio some security with a low risk, low volatility index fund of Canadian government, provincial and corporate bonds. The Vanguard FTSE Canada All Cap Index ETF (symbol: VCN) is designed to replicate the FTSE Canada All cap Index and invests primarily in large, mid, and small capitalization Canadian stocks, and provides your portfolio it’s Canadian stock coverage. The iShares Core MSCI All County World Ex Canada Index ETF (symbol: XAW) is designed to replicate the MSCI ACWI ex Canada IMI Index, and provides your portfolio US, international and emerging market stocks. About half of XAW contains US exposure, while the other half is split up amongst many other international markets. How much will the fees cost to buy and invest? MER’s (Management Expense Ratio) are the fee’s associated with owning a fund. They are an annual rate that is calculated daily, but are incorporated into the price of the fund, and are never really noticed by the investor. Remember, you won’t see a charge for this fee, it is built into the fund price! These low MER’s are the reason that ETFs are becoming so popular with new investors. The 0.15% weighted MER for this portfolio (assuming targets of 25% ZAG, 25% VCN, 50% XAW) is much lower than the other passive investment options I’ve looked at (~0.43% for TD e-Series, ~1.07% Tangerine, ~0.7% Wealthsimple). As you can see, the cost you would see for a $13,500 investment in this portfolio would be just over $20 per year. Again MER fees are built into the fund, so you won’t actually notice the charge, but it doesn’t happen in the background. When getting into investing, it can sometimes be hard to understand all of the costs and fees associated. Besides the MER fees discussed above, the other fees you have to think about are investment account fees and trade commissions. Luckily, it’s possible to mainly avoid both of those. Questrade is the discount brokerage I use to purchase ETF’s here in Canada. Using Questrade, you can avoid most of the additional fees. By investing at least $5,000, you will waive any fees associated with having a self-directed investment account open. Questrade also offers FREE ETF purchases, so you will not be charged anything when purchasing your ETF’s. Where you still have to be aware of fees when selling ETF’s. Questrade charges $4.95 – $9.95 (depending on how much you sell) for trades involving the selling of ETFs. But by signing up with a referral link (http://www.questrade.com?refid=5c7adaa406cd9) you can receive $50 in trade credits! Following the passive index investing strategy likely means that you plan to hold onto your investments long-term, and won’t be selling ETFs frequently. But where this does come up is if you do a bi-yearly, or yearly re-balance of your portfolio back to your target percentage allocations. This means selling some of your best performing ETF to purchase your worst performing ETF, which would incur a selling trade fee. 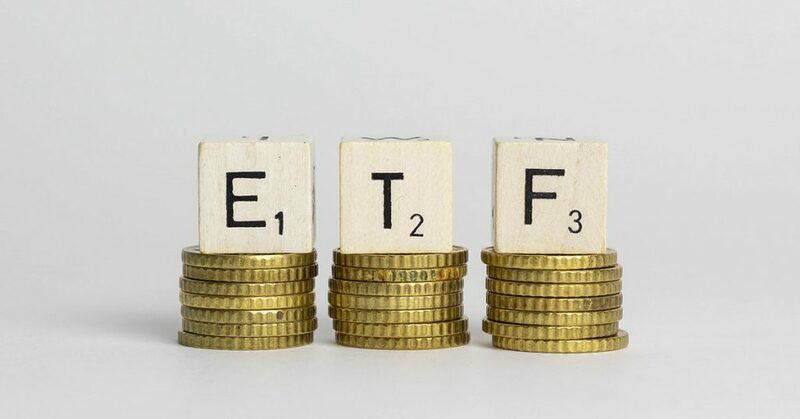 These ETF funds should be available on most major brokerages, but the thing you need to be aware of are any commissions or trade fees associated with purchasing them. A charge of $5 – $10 per buy starts to cancel out the savings received from the low Management Fees. This is why I suggest investing with Questrade and their no commission-fee purchases of ETF’s. While you will get charged by Questrade when you sell your ETF funds, you can help reduce those fees even more by getting a $50 trade credit bonus. In comparison, TD Direct Investing (which I use for their TD e-Series Funds) charges $9.99 for every trade involving an ETF – selling and buying. This means that if you were to make a contribution where you purchase the 3 different ETFs at once, you would be dinged almost $30. For someone who contributes to their index portfolio a few times a year, these fees really add up. Are passive index investment ETFs right for you? comfortable re-balancing their portfolio once or twice a year. If this sounds like you, get started with Questrade today, and earn $50 in trade commission credits!